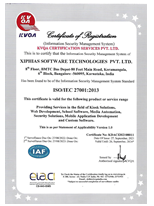 XIPHIAS Software Technologies Pvt. Ltd. was founded in 2002 by Mr. Rohit Kumar, now a Promoter, CEO and CMD of the XIPHIAS Group , who was only a second-year engineering student at that time. Later, the company registered for ROC in Karnataka in 2005 and commenced the journey of manufacturing Self-Service Kiosks, developing ERP and CRM solutions, Web Designing and Development and On-Job Training Program. Hailing from a small capital city called Ranchi, Mr. Rohit proved himself as a dedicated and bright minded individual since his childhood who earned distinction throughout his academics. After graduating from an engineering college, Mr. Kumar got selected for the Executive Management Program from Harvard Business School and Project Management Course from the University of Oxford, which made him only one Indian to have been shortlisted for 2014 batch. Year-after-year Mr. Kumar tasted the success, revenue, profit, and business growth and is highly successful in building relationships with upper-level decision makers, capable of seizing control of critical problem areas and delivering on customer commitments. XIPHIAS GROUP has further expanded into various companies and successfully marked its presence worldwide. 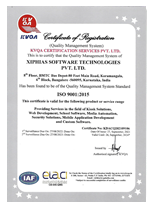 XIPHIAS Software Technologies Pvt. Ltd., XIPHIAS Immigration Pvt.Ltd., XIPHIAS Studios Pvt. Ltd., XIPHIAS Projects Pvt. Ltd., XIPHIAS Connect , TYS361, XIPHIAS Business Immigration, XIPHIAS Agro Science , and SILKSHARI are the current operating companies under XIPHIAS GROUP. Simplify, Strengthen & Transform your Business with XIPHIAS! Kiosk: We are India’s No. 1 interactive KIOSK manufacturing and application Providing Company, offering a sophisticated range of customized kiosks within industry standards and specifications for our clientele. With expertise in offshore software development and hardware manufacturing, we can fulfill most of your software and KIOSK based requirements through our skilled and well-trained IT professionals. By working together on your requirements, we optimize our solutions according to your needs and provide an end-to- end solution by developing various software packages in-house and integrating them with a wide range of kiosks systems. ERP and CRM Software Solutions: XIPHIAS also develops ERP and CRM software solutions for various industry verticals like education, government, healthcare, energy, retail, rural development etc. Our latest product offering is a state-of- art school automation system (A.T.S.I. - Any Time Student Information) engineered to be the best ERP solution for handling student information. With more than a decade dedicated, XIPHIAS has the knowledge, expertise, team and passion to provide digitally simplified Products. Cloud Based Web Applications: XIPHIAS has also emerged as a leading professional website designing company in India. We offer website designing & development services , e-commerce web designing, and graphics designing services . XIPHIAS has successfully worked on over 5000 websites which reflect our expertise in creating a winning corporate presence on the internet. . With different kinds of requirements, XIPHIAS is successfully answering the real business challenges for its clients in every vertical by providing innovative digital solutions with its deep industry knowledge. Training: Right, bright and aspiring graduates are the future of Information Technology. The company recognizes the talent and nurtures them through its On-Job Training Program. XIPHIAS training program does not include classroom training practice rather it facilitates the students/jobseekers to get a digital learning environment. They get an opportunity to work on updated technology and live projects to enrich their professional capabilities, develop their critical skills and enhance their overall personality. The awards and recognition received and consistent ranking as India’s No. 1 Kiosk manufacturing company shows our hard work, interest, innovation and the motivation to keep on designing Kiosks. We have accumulated more than a decade experience through working on the projects which are designed to respond effectively to client’s most significant strategic and operational challenges. XIPHIAS is the only leading Kiosk manufacturing company that provides in-house engineered hardware and high-end innovative software solutions, which ensures superior performance of kiosks. We have well-qualified teams of professionals that have years of experience in manufacturing customized kiosks and successfully deploying touch screen interactive self service kiosks for many different verticals. To address the changing needs of market, businesses need to keep a pace with the ever-evolving technology. Our team ensures that all the kiosks are equipped with the latest technology which are fast to deploy and highly reliable. Despite being a top kiosk manufacturing company, XIPHIAS ensures that it is meeting the requirements of each and every user while keeping the prices very reasonable.